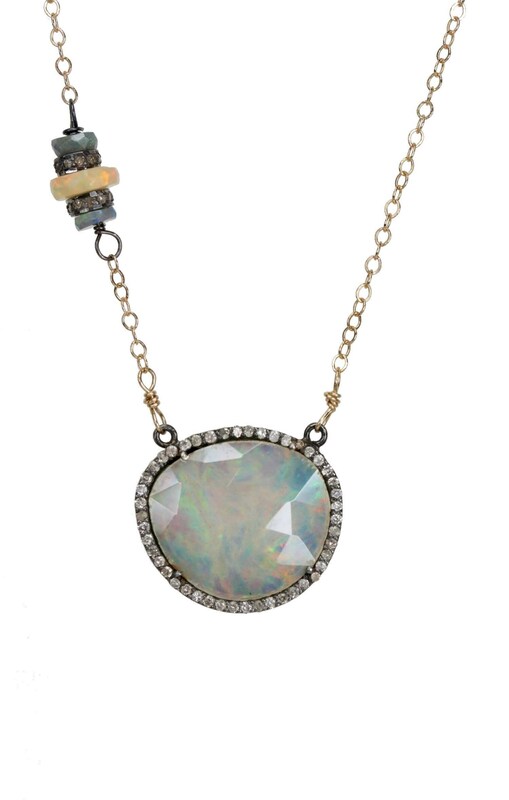 This is a genuine Rose Cut Ethiopian Welo semi-black natural opal slice necklace. 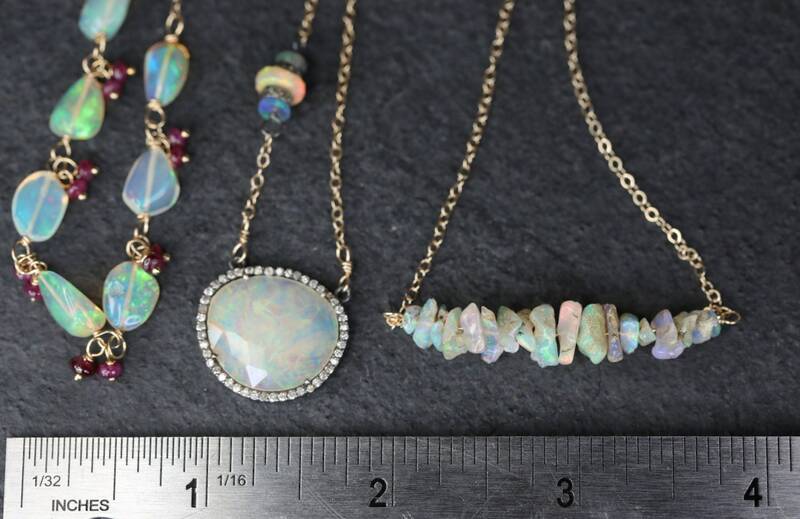 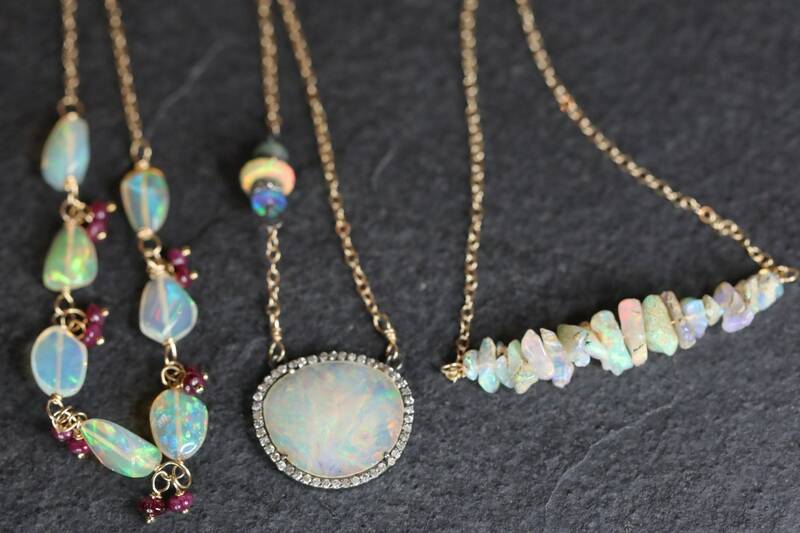 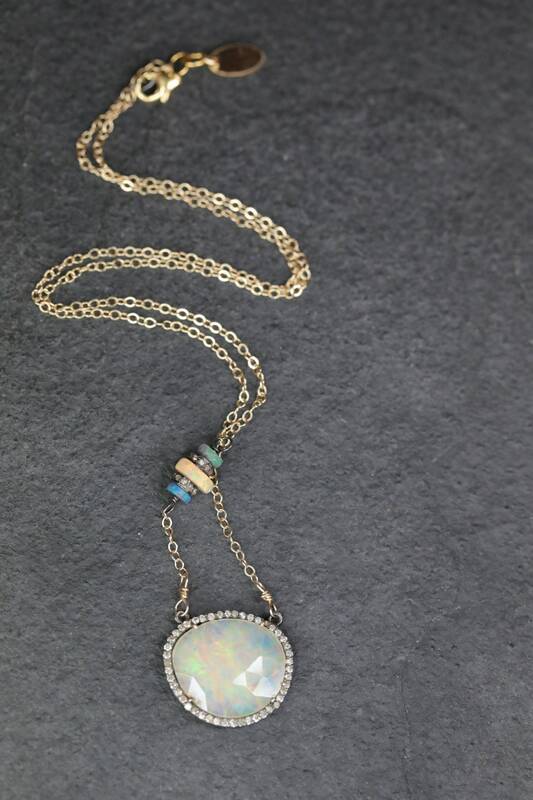 The chain is 14k gold filled with an asymmetrical diamond and faceted Ethiopian black and white opal station. 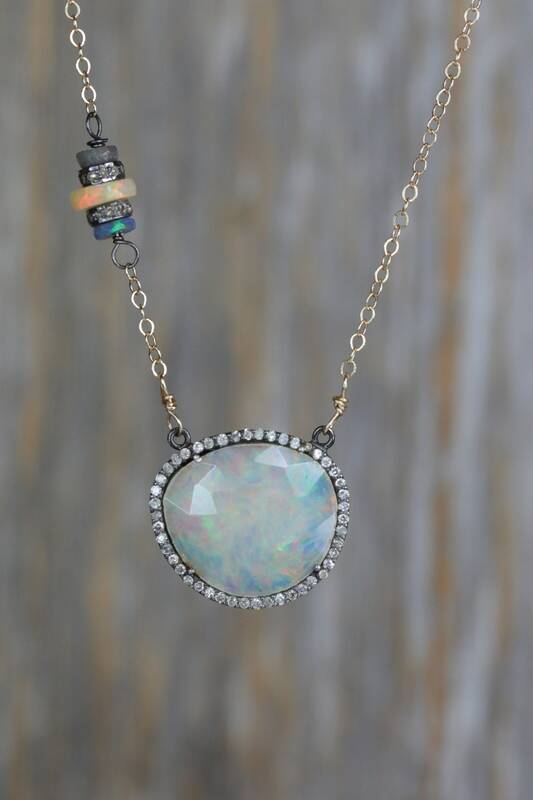 Ethiopian opals in black and white sit on one side of the pendant as stations in the chain with 14K gold filled accent. 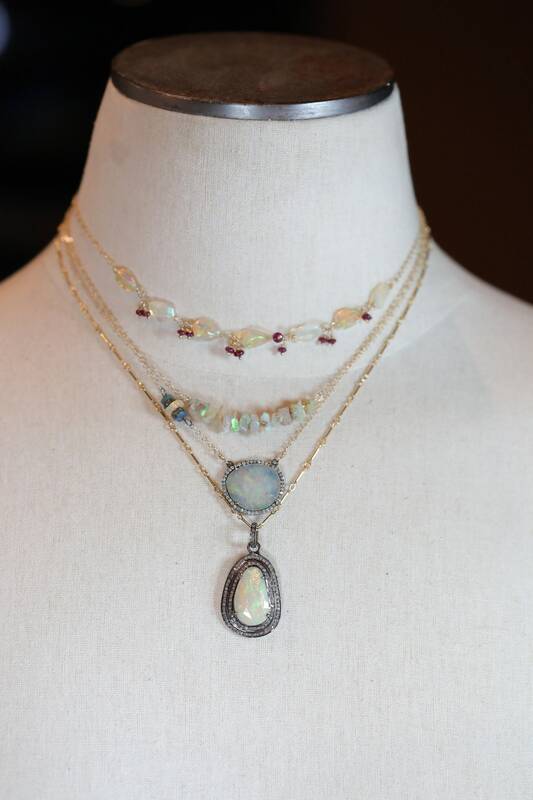 The mixed metal of 14K yellow gold filled and oxidized sterling silver along with white and black opals in the asymmetrical station accent the focal pendant nicely.